A recent paper from the World Economic Forum and Accenture estimates digitization could bring more than $425 billion of value for the mining industry, customers, society and environment over the next 10 years (to 2025). With opportunities this lucrative, it’s vital not to be left behind. Mining has traditionally been slow to adopt new technologies due to the scale and complexity of its operations, and the heavy costs that come with change. And, they’re not doing a lot with the digitization that already exists — according to McKinsey and Company — in some cases, miners use less than 1 percent of the data collected from their equipment. Digitization meant it could step back and reassess the entire operation, “It enabled us to rethink how we would run an end-to-end mining business and do that in a way that has never been realized before,” said Michael Lommon, Roy Hill’s General Manager of Demand Chains. MMG limited, one of the world’s most respected diversified base metals companies, worked with Schneider to establish an asset utilization solution to measure all production and time losses, including loss of sales, against calendar time. “We needed a solution flexible enough to adapt to the local operating conditions of each mine, while also providing us with standardized asset utilization data that we could analyze in real-time,” said Mark Dwyer, Business Technology Manager at MMG Limited. Beyond supply chains and asset analysis, digitization optimizes complex systems which can lead to higher production yields. For example, by using advanced software solutions for process optimization a nickel smelter in Canada achieved the equivalent of a $20,000 a day higher yield across two furnaces. Furthermore, digitization also brings safer working conditions, promotes collaboration between teams and increases job appeal for a new generation of workers. Workforces are being empowered by technology with an increase in training, testing and process simulation using life-like 3D environments — which are both safer and more engaging than traditional on-site methods. “Of all the trends impacting the industry, none will be as critical as digitization. It will impact every aspect of the industrial operation and provide the greatest potential for improving business and operational efficiency,” said Rob Moffitt, president of the Mining, Minerals & Metals segment at Schneider Electric. 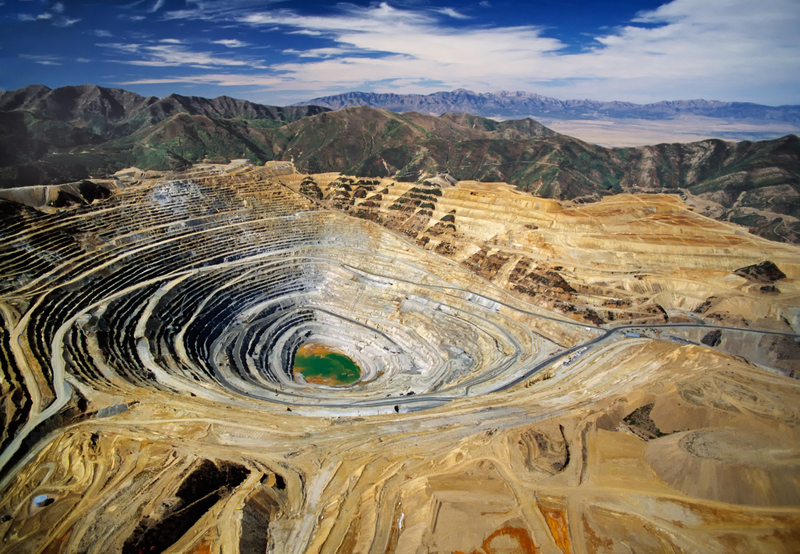 And with rapid advances in AI, automation, and innovations like x-ray diffraction and electric vehicles all on the horizon, the mining sector is catching up to the technological revolution fast. It’s clear that digitization of mining is no longer a choice, but an imperative. Embarking on the Digitization Journey in Mining: Think Strategy First, Technology Second Shaping Tomorrow’s Mine Transforming Industry with Digital Services: A Collaborative Industrial IoT Approach Where Does Your Mine Stand in Mining Industry Transformation Maturity?